The minor league franchise promotes 'dreamers' as part of MiLB's national 'Copa de la Diversion' initiative. The Hillsboro Hops are again reaching out to our local Latino community, this time through the introduction of "Sonadores de Hillsboro," a four game slate of contests to be played during their upcoming 2019 season as part of MiLB's national "Copa de la Diversion" or "Fun Cup" initiative. The Hops — or in this case the Sonadores de Hillsboro which translates to Hillsboro Dreamers — will be one of 72 minor league teams nationwide that will be participating in the season-long event series specifically designed to embrace the culture and values that resonate most with participating teams' local U.S. Hispanic/Latino communities. "Our goal at the ballpark is to build the most inclusive, dynamic environment that we can," said Hillsboro Hops President and General Manager K.L. Wombacher. "This is just one of those opportunities where we can create that inclusiveness with one word — dreamers." 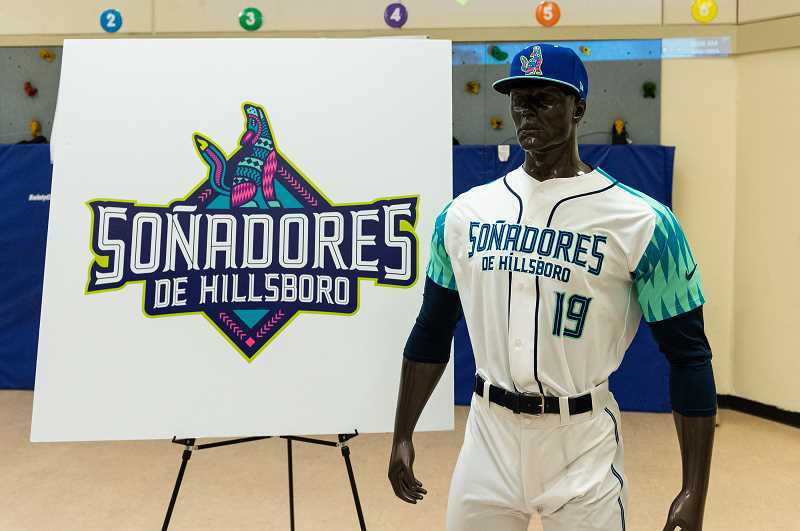 The local minor league franchise introduced the Sonadores de Hillsboro logo and uniforms to members of the media and local dignitaries Monday, March 18, along with the student body — who received t-shirts — as part of an assembly at W.L. Henry Elementary School. 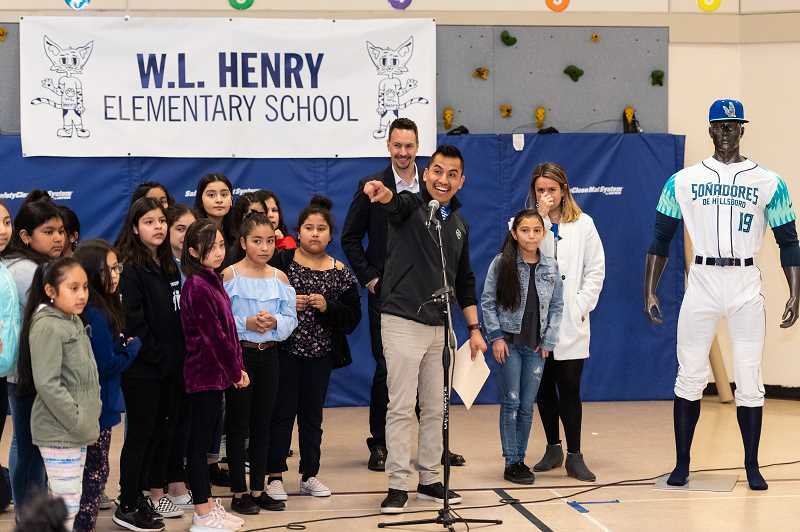 Wombacher addressed the crowd prior to the unveiling with help from Hops Latino Outreach Coordinator, Ivan Hernandez, who the organization hired last spring in an effort to better connect with the Latino population in the area. With help from Hernandez, Wombacher and his staff settled on "Sonadores de Hillsboro" due to its relatability not just amongst Latinos, but rather everyone who had or has big aspirations. "We went through a ton of names and brands, and we landed on dreamers because everyone has a dream," Wombacher said. "We talked about our players who dream of playing in the major leagues, the kids that come out to the park and dream of playing pro sports, or being a firefighter. People that come to this country have the "American Dream," it's just a unifying factor that transcends many different backgrounds." Click here to read the rest of the story in the Hillsboro Tribune.